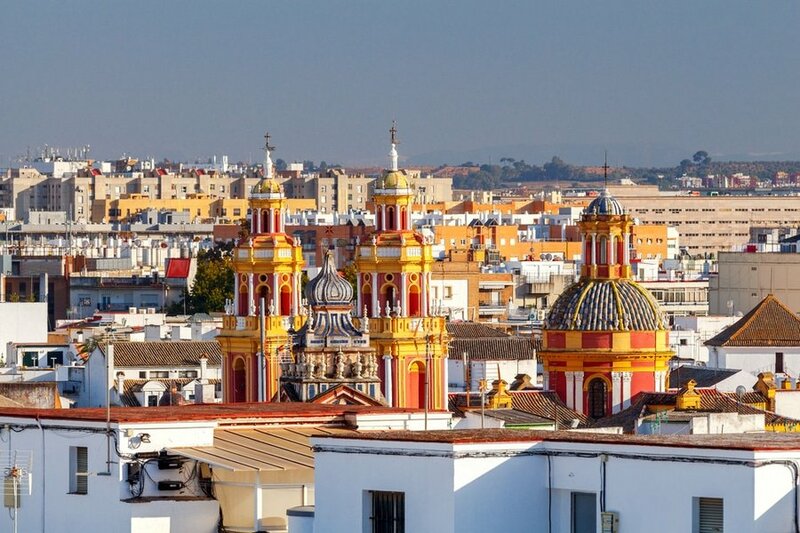 Seville, the capital city of southern Spain’s Andalusia region, is known for its ‘posh’ streets and squares, Catholic buildings and Moorish architecture, Flamenco, traditional tapa bars and restaurants. With our 3-day suggested itinerary, you would have a real taste of this charming city and you will be introduced to its best attractions. You can absolutely make any changes you like, to adapt the tour to your preferences. Habla inglés? = Do you speak English? Cómo está? = How are you? Cuánto cuesta? = How much does it cost? Currency Exchange – The official currency of Spain is the Euro (EUR), the same currency now used by most Western European countries with the exception of the United Kingdom, Switzerland and Norway. Exchanging money in Spain is easy and follows the same standard to elsewhere in Europe. The best way to get local currency (Euro) is to use the ATM and withdraw in Euros to get the best rate. You may also transact with Banks and Bureaux de change. Social life and etiquette – Spanish people usually have breakfast at around 10:00 am, while lunch (la comida), the biggest meal of the day is normally from 2:00 to 4:00 pm. Dinner is no earlier than 8:00 pm and often start as late as 10:00 pm, and it is a very light meal followed by a leisurely stroll (paseo). Tipping is a common practice in Spain, although not always expected. People in Spain tend to be always on time, so it is important to get used to the time zone. Getting around – 3 days provides barely enough time to see the best of Seville, so basic knowledge on how to get around is recommended. The center of the city is a fairly compact area which can be explored on foot or on a bicycle. 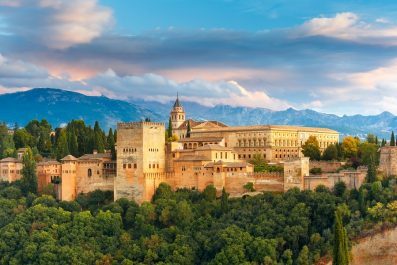 Where to stay – There’s a great variety of accommodation in Spain, ranging from small family-run pensions to five-star luxury hotels. In almost any town, there’s something for every level of comfort and budget. In Seville, it is recommended to stay in El Arenal to get easy access to the city’s famous attractions and get plenty of dining options. It is located near the cathedral, shopping street of Calle Sierpes and the bull ring. If you’ve been to Seville once before, and would like to venture away from the center, then Train is the perfect choice for you. It is located outside the city but offers an authentic village feel. It’s also home to some of the best tapa bars in Seville! 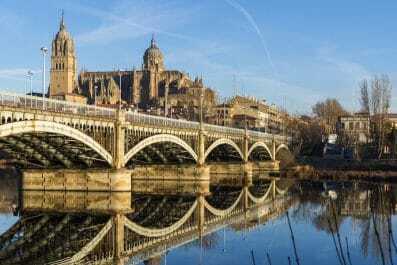 If you are coming directly from Madrid, then you can travel to Seville by train or by bus. Trains are the most preferred way to travel because it takes only 2 hours and 30 minutes to get to Seville. For time table and ticket information, visit National Rail’s official website. From the train station, take a local bus or a taxi to get to your chosen accommodation. Rest and settle in before you start the walking tour. Depending on your time of arrival, you can either take it easy and soak up the atmosphere in Seville or you can begin your tour of its famous attractions. Assuming you arrived in the morning, you can spend your time wandering the labyrinth of narrow streets of Barrio de Santa Cruz. The opportunity for incredible photographs is endless during this walking tour, so frequent stops are recommended to enjoy its medieval streets. In the evening, it’s time to enjoy a passionate flamenco show! It’s hard to know which shows are offering the real deal, so make sure to read plenty of online reviews in TripAdvisor or other forums. Casa de la Memoria, Casa del Flamenco and Museo del Baile Flamenco are some of the best in the city based on TripAdvisor reviews. On Day 2, head for the Catedral de Sevilla (also known as the Cathedral of Saint Mary of the See), the largest Gothic cathedral in the world, and the third-largest church in the world. Because of its monumental architecture and historic relevance, It was declared by UNESCO as a World Heritage Site in 1987. 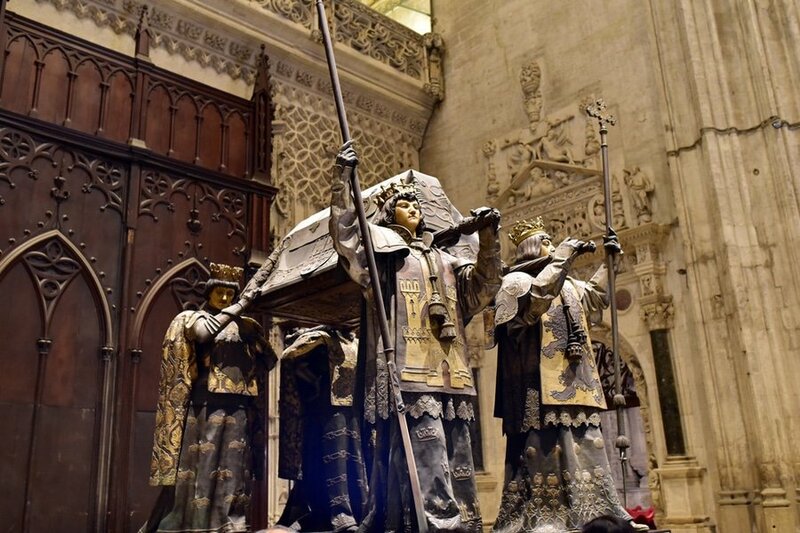 To appreciate its beauty, you may stroll around the magnificent interiors and pay a visit to the tomb of Christopher Columbus. 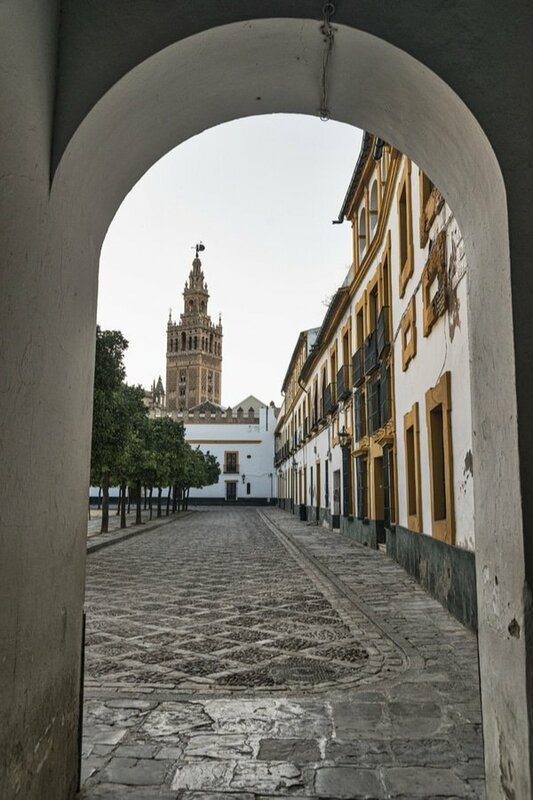 Then, climb to the top of Giralda Tower, once the mosque’s minaret, and marvel at the views. Head north of Cathedral and explore the Real Alcázar de Sevilla, which is a royal palace in Seville made by the order of the Moorish Muslim kings. 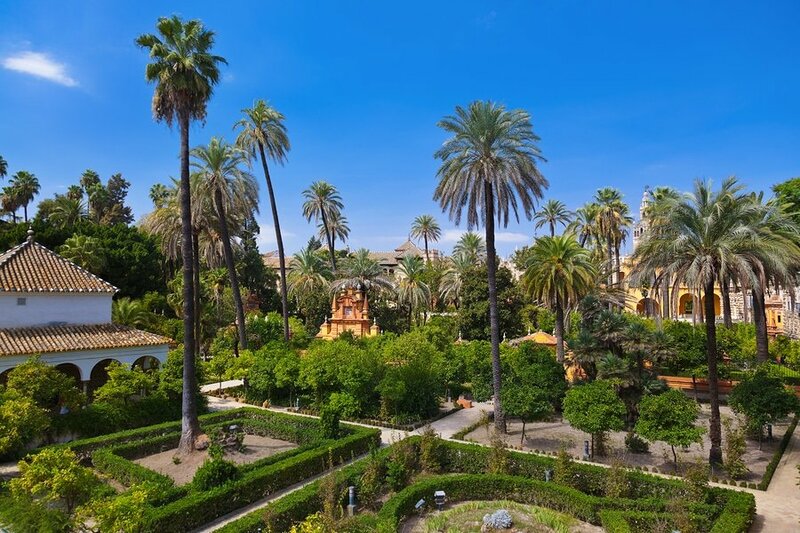 Declared in 1987 by UNESCO as a World Heritage Site, the Alcazar boasts seven hectares of gardens, grandiose palaces and fortresses. Some parts of the Alcazar were also featured in the 5th season of the Game of Thrones. If you want to learn more about its beautiful Moorish architecture and the history behind it, then you may join a guided tour. After lunch, make your way to the Mercado de Triana (Triana Market), the covered market in the city’s former gypsy quarter. Aside from its vast array of fresh produce and food products, the market itself has a great atmosphere with an equally interesting history. 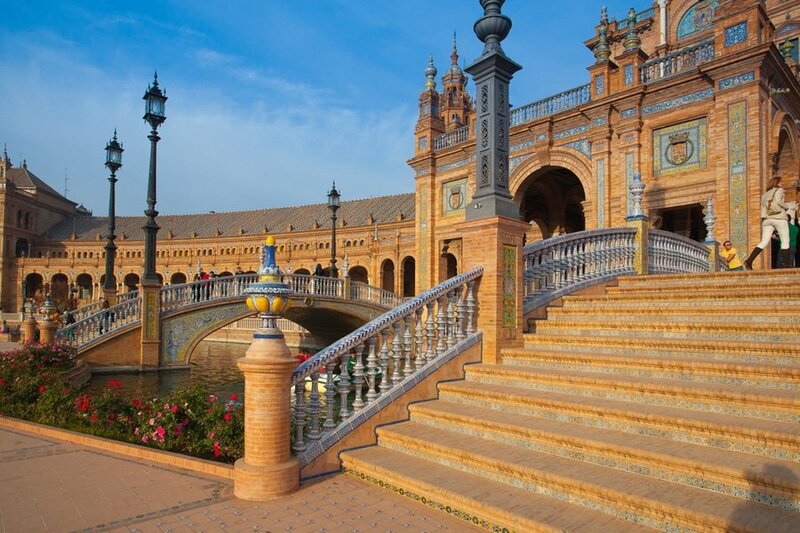 With time remaining, go for a stroll through Plaza de España, located in the Parque de María Luisa. In the evening, do not miss to try the traditional tapa bars and stand at the bar while eating tapas and drinking lager beer. Visitors will surely appreciate Seville’s unpretentious bar scene and vibrant nightlife. You can dedicate Day 3 in El Arenal. Biking around Seville is a great option which allows you to enjoy the area at your own pace. Check out its cafes, restaurants, tapa bars and art galleries that you might have missed. 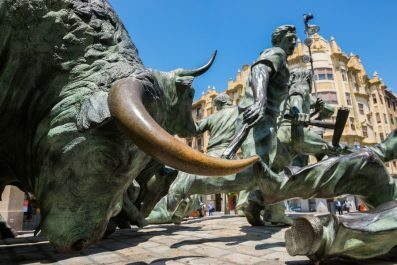 Squeeze in some souvenir shopping at Ceramica Ruiz, Mercado de Triana or Plaza de Toros de Sevilla (Bullring of Seville) before you head back to your hotel and prepare for your departure. Or, you can choose to stay in Seville longer and travel to other parts of Spain. The decision is all yours! This is the end of our 3-day itinerary. Remember, this is just a guide for planning and is in no way, shape or form, the only way to travel the city. There are several alternative routes of travel within Seville and it will depend on your intended length of stay. Happy travels!